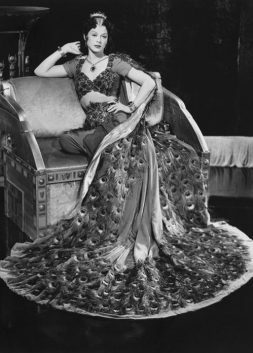 Hedy Lamarr strikes a pose in a peacock dress for 'Samson and Deliah', 1949, one of Hollywood’s Biblical epics. 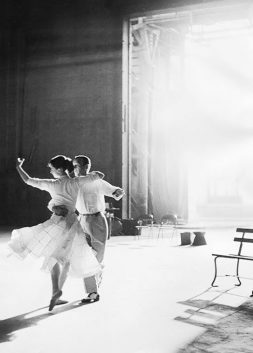 Audrey Hepburn and Fred Astaire rehearsing for 'Funny Face', 1957. 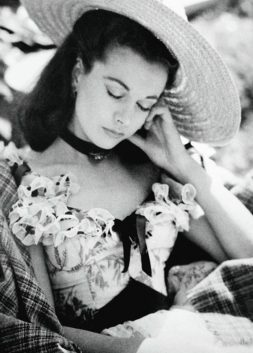 Vivien Leigh resting on the set of 'Gone With the Wind', 1939. 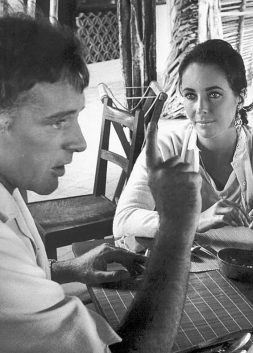 Elizabeth Taylor and Richard Burton in Puerto Vallarta, Mexico. 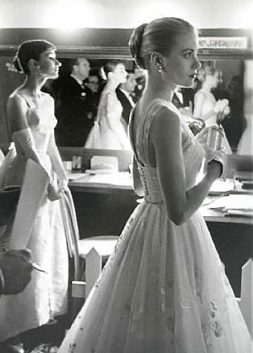 Grace Kelly and Audrey Hepburn backstage at the 28th Academy Awards, 1956. 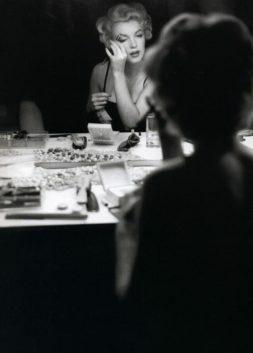 Marilyn applying her make up, photographed by Sam Shaw in September 1954.